On Facebook, brands, products and businesses are like people. They just want to be liked. Through the effective use of Facebook you can expand your reach cost effectively. Three out of four US Internet users visit Facebook, social media’s 900 pound gorilla, many of them daily according to comScore. Since participants spend a large part of their time (27%) on the homepage and newsfeed, this area has a greater impact on engagement. 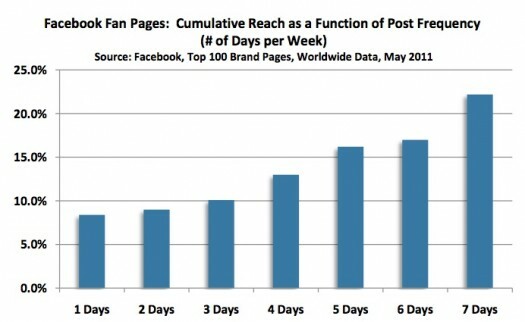 On average, businesses posting content five out of seven days a week reach one out of six fans (or 16% of their fans). These results are in line with the reach between participants and their friends where a user’s status update reaches about eight friends (or 12% of their friends), according to a Facebook analysis. Additionally Facebook analysis suggests enhanced content publishing frequency from the Facebook Page increases fan reach about 2.5%. 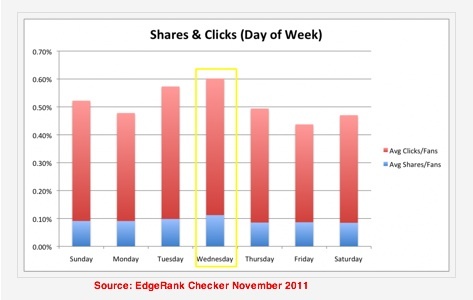 Intuitively, this makes sense since blog post frequency also improves reach. 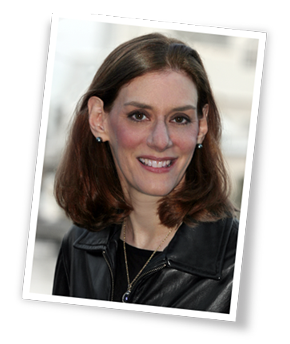 Understand content and publishing frequency must align with fan expectations or they’re gone. Further, each fan has the potential to reach another thirty-four friends according to Facebook analysis of the top 100 brand pages. To augment your Facebook page’s effectiveness, recent EdgeRank Checker research shows that you have to go beyond just posting content. Fans must like and comment on Your content in order to drive incremental engagement. Specifically, the findings showed that the average like received three clicks while the average comment had three times the activity or about fifteen clicks. Again this is like blogging results where a meaty comment starts a conversation but “nice post” doesn’t. 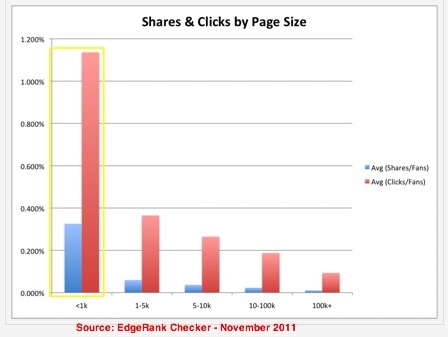 While most of the EdgeRank Checker research focused on larger company pages, it’s significant to note that smaller companies had more interaction. 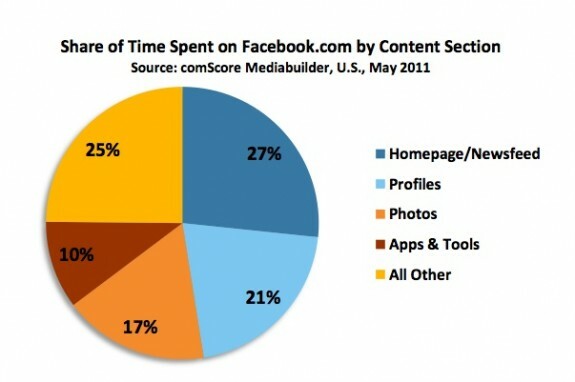 This is attributable to having a more targeted base where it’s easier to create tailored content. Additionally, these firms are trading time and interaction for marketing dollars. 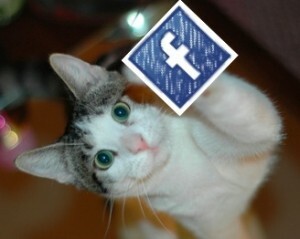 To leverage your Facebook fans to broaden your reach, here are five suggestions. Start with compelling content. 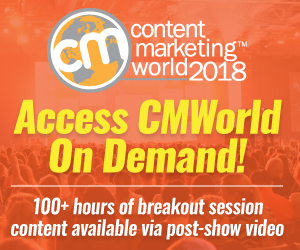 As with any form of social media, it’s critical to have unique content, particularly useful or entertaining information to draw viewers in. Nothing’s more likely to go viral than strong content. Leave room for conversation. If you cover everything in your content, there’s no reason for readers to engage or come back for more. Take a page from top bloggers who intentionally leave their posts unfinished to get readers thinking about what they’d put there. The more active fans are, the more they feel a part of your community and have a stake in it. Get readers talking. At a minimum, end your content with a question. Remember, you can also add your commentary to other people’s comments. Your goal is to open up the conversation. Don’t forget to incorporate a call-to-action to guide your readers. Think like a dinner party host getting people introduced to each other. Once your fans are talking, their friends will see the conversation and may add to the discussion. Engage your followers. Don’t just post and leave. Actively participate in the conversation. Keep your fans coming back for more interaction. Don’t overlook the personal aspect. Remember it’s called social media for a reason. Add additional information. Content is the fuel that keeps social media running. It’s important to keep adding more to show that you care but don’t overwhelm them or they’re gone. The bottom line is that Facebook can be a effective platform for expanding customer reach through a combination of content marketing and participant engagement that yields increased friends of fans activity. The challenge is that it still requires further marketing to convert engagement to sales. Do you have any other suggestions that you’d add to this list? What has your Facebook experience been? Tags Facebook, Reach, Research. Bookmark the permalink.